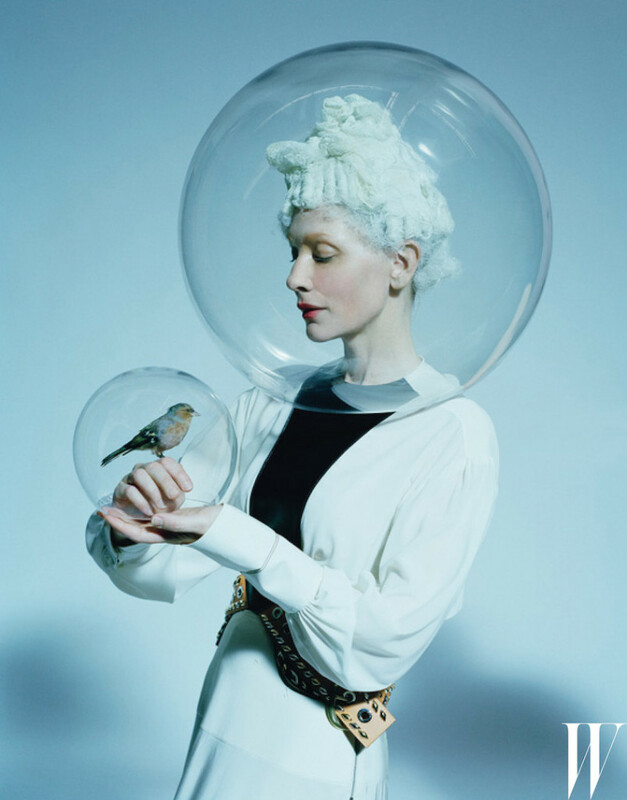 Cate Blanchett graces W’s December/January cover, photographed by Tim Walker for the magazine’s annual art and fashion issue. 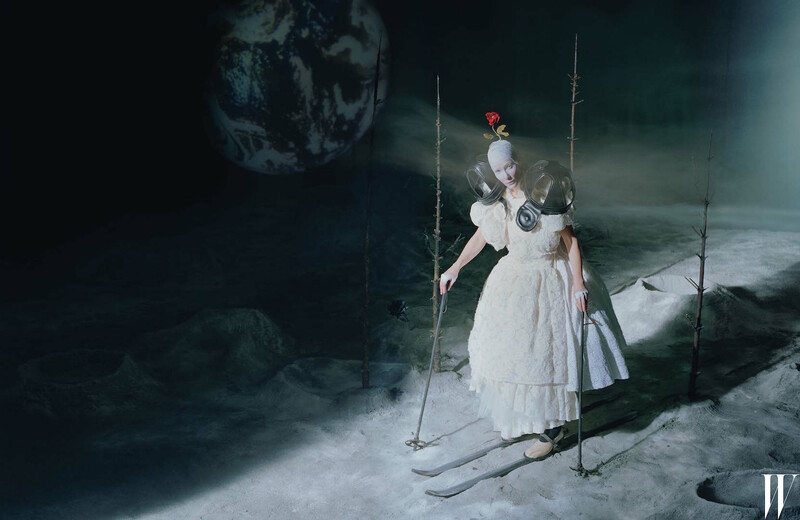 For the shoot, Cate transformed into Antoine de Saint-Exupery’s Little Prince. Many of the clothes she is wearing in the portfolio were created specifically for this shoot, including custom-made pajamas by Prada, dresses by Stella McCartney and Boss, and bloomers by Alberta Ferretti. 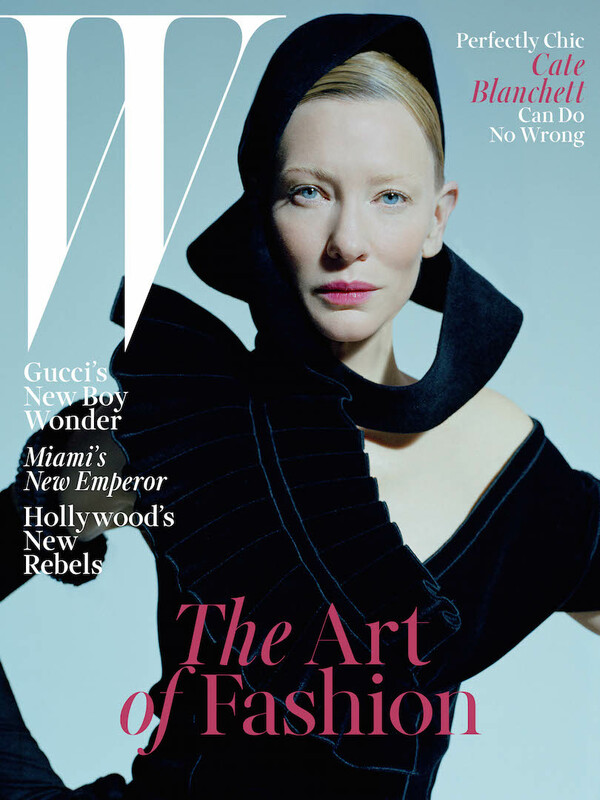 In the interview by Lynn Hirschberg, Cate talks about her role in Carol, the importance of fashion and costume design in her films, and more.